I began to realize that I had several deep-rooted negative beliefs when it came to money. These beliefs were the cause of my lack of money. I could think about money all I wanted, but from a negative perspective, the only thing I was attracting was the experience of never having enough money. What are your money patterns? Ohhh how my life changed so drastically and continues to change once I began working on my money myth beliefs. Most of us have patterns with money. My husband’s old pattern was always that he would get really successful, but then lose it all; he’d lose the job and use up any extra money he had while looking for a new job. My pattern has always been that I just don’t make enough no matter what I’m doing or what degree I have. It’s like money is this elusive thing that I just can’t reach. My husband’s relation to money could be explained by the fact that when he was a child, his family was doing well in their home country, but then lost their income and decided to move to the U.S. to make a better living. Could this be why he always did well and then had to start over? We’ve discussed it and found he likely had a deep-rooted belief to panic or stress when things were going too well, because things will crash soon after. My patterns with money could be explained by the fact that when I was growing up, my parents always lamented over the reality that we never had enough money. My mom had to work outside the home because she couldn’t afford to stay home with us. My dad never made enough money and neither did she. They always told me to go to college so I could have enough money because money was hard to make. I know I have deep-rooted beliefs that I’m just not the type of person who has money. Do you notice any patterns in your money story? What’s always been your #1 struggle with money? Not having enough? Losing it quickly when you do have it? Not feeling worthy of it? Thinking it’s hard to make? 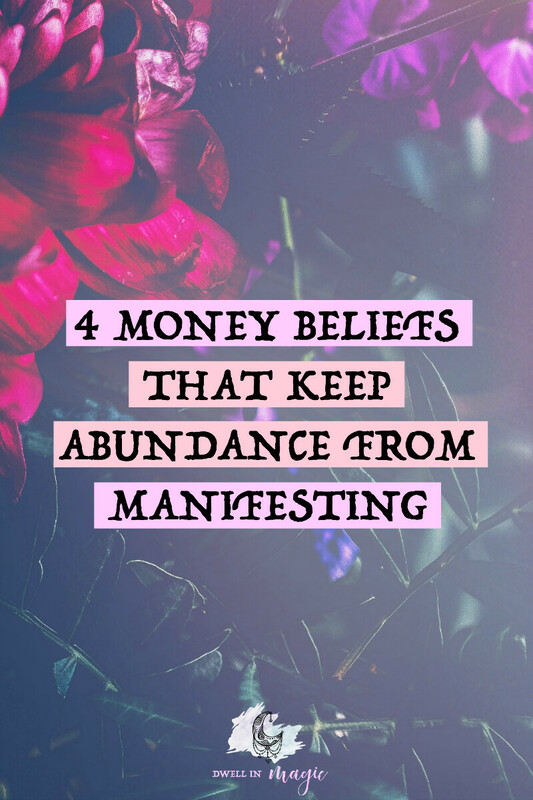 Recognizing your money pattern can help you pinpoint negative money beliefs you may have and also past experiences that would’ve ingrained these beliefs into your subconscious. As Louise Hay says, beliefs are just thoughts and thoughts can be changed. You can see how that would make anyone feel that making money only comes with hard work (that you probably won’t enjoy) and if you’re making it too easily, something’s wrong with that. But actually, if you take a look around the entrepreneurial world, you will find lots of people not working hard, making passive income, and making money doing things they really enjoy. These kinds of people were not even on my radar 4 years ago, but now they’re all I see. Your beliefs will dictate your experience. Convince yourself deep-down that money is easy to make, and it will be. Start noticing all of the good people in this world who make a lot of money without working many hours at all. Adding onto the idea that you need to work hard and “honest” for your money, so many of us have a belief that people with money are bad. Or they’re greedy and controlled by their lust for money. Or they’re dishonest and can’t be trusted. And we don’t want to be any of those things, do we? Here’s the thing: money isn’t bad, nor does it make anyone bad. The way I see it, money is really good! Think of all the good things you could do with more money. I bet you’d help your family members. Go on more vacations. Give the best to your children. Donate to charities. Buy things that you love. Live where you’ve always wanted to. Having money is a good thing. Being poor doesn’t make you honest or noble just like having money doesn’t make you greedy. Money is just energy, and you either allow it to flow or you don’t. That’s the American dream – go to college, get a degree, go work for a stable company and earn a decent wage. That’s what I believed because that’s what I was told all throughout my schooling and by my well-meaning parents. I felt this pressure in high school to hurry up and decide what I wanted to do with my entire life before the age of 18. In college I switched my major several times because I just couldn’t decide. I finally landed on psychology since it was the only thing I had an interest in at that time. My husband and I could never seem to earn more than a certain amount, and funny enough that amount was around the average that was prescribed to us by society. We didn’t believe we could earn much more than the average wage, and so we didn’t. Once I got a degree, I still didn’t make much money because then I felt like I needed a master’s degree to “really” make money. No amount of degrees would’ve ever made me feel worthy of money though, because deep down I’d always believed that “I don’t have enough” and that money was hard to make. Getting a degree is not a bad thing. It’s just not a requirement for making good money! How much money you allow into your reality is directly related to how you feel about money and what you believe. If you aren’t born into money, you might feel like you’re out of your element being around luxury or having money of your own. Deep down you don’t feel worthy of it because it feels like a different world to you, and so maybe you find ways to immediately spend any extra money you have. Or you talk yourself down and believe that you aren’t good with money or even have a subconscious fear that you wouldn’t even know what to do with “real” money. The truth is, some of the world’s richest people have come from underprivileged upbringings. And maybe you don’t want to become one of the richest people in the world, but negative money beliefs like this one hold you back from ever having enough. They keep you struggling and feeling anxious around the subject of money. Who wants to feel like that their whole life around something as crucial as money? Repeating affirmations daily. I used to think affirmations were so silly, but I’ve come to realize how powerful they are. The whole point is reprogramming your subconscious mind in order to change deep-rooted beliefs that are holding you back. I’ve always kept a board on Pinterest with affirmations and looked through them before I went to sleep at night. I even went as far as posting them on notecards and pinning them to my fridge. THEY WORK. Writing an affirmation every night. This is one extra powerful step from saying affirmations. Say you want to make $5,000 a month, you could make your affirmation something like this: I am so grateful that I make $5,000 a month. Write this affirmation over and over before going to bed, aim for 20-30 times at least. Try to feel as grateful or excited as you write the affirmation. Feel how you would feel if it were true. Again, this feels very silly and pointless, but what it’s doing is getting the belief down into your subconscious. Your subconscious will then believe it and you’ll start to even feel like it’s a fact yourself. 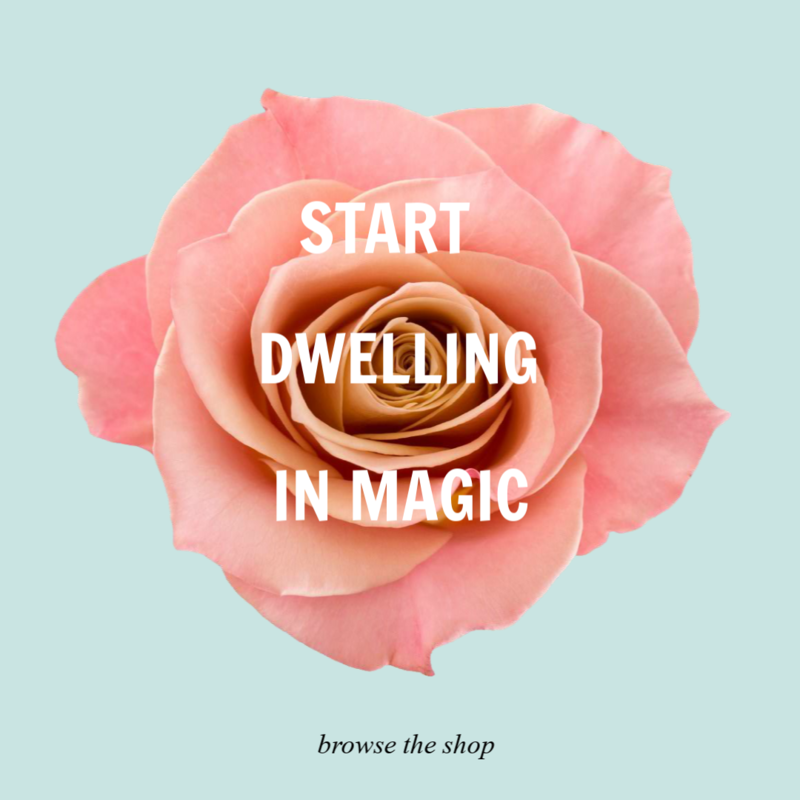 When this occurs, magic starts happening. I hope these tips helped you think about any negative money beliefs that you might be holding onto. I don’t hold a desire to become one of the richest people in the world, but I do desire to live a comfortable life doing what I love and spending time with those that I hold dear. Healthy money beliefs make life so much more magical and enjoyable! Do you have any awesome money affirmations you tell yourself? Let me know so I can add them to my list! And be sure to connect with me over on Instagram for more manifesting inspiration. This is awesome! I will have to think about what my money beliefs are and where they came from. That’s a tough one! But I definitely see how it can affect where you are at in your life! Thanks for this awesome, helpful post! I absolutely love the Think and Grow Rich teachings. I actually had them on audio so I could listen to them while driving. However, thinks got a little dangerous because I’d start frenetically searching for a pen to take notes — one knee guiding my steering wheel. I stumbled on your website, and I’m glad I did. Thanks for inspiring me!